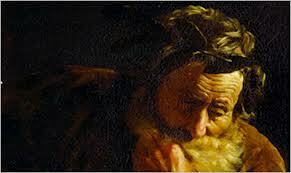 Archimedes was an ancient Greek mathematician, philosopher, and inventor. It seems, however, that he did not think as much of his numerous inventions--important and fundamental as they were--as he did of his work in the field of mathematics. He felt his mechanical toys were not the most important pursuit of a mathematician-philosopher. Archimedes was born around 287 B.C. in Syracuse, a town in the Greek colony of Sicily. His father was the astronomer Phidias, and he was related to the tyrant Hieron II (308 B.C. "-216 or 215 B.C.). Archimedes went to Alexandria about 250 B.C. to study under Conon and other mathematicians who had studied under Euclid (ca. 300 B.C.). He later returned to Syracuse where he apparently stayed the rest of his life. Archimedes performed countless experiments on screws, levers, and pulleys. The Archimedean screw, also called a water snail, is still used in certain parts of the world to raise and move water. This screw enclosed in a cylinder created, in essence, the first water pump, and is perhaps his most remembered invention. The Archimedean screw has been the basis for the creation of many other tools, such as the combine harvester and auger drills. His work with levers and pulleys led to the inventions of compound pulley systems and cranes. His compound pulleys are highlighted in a story that reports that Archimedes moved a fully-loaded ship single-handedly while seated at a distance. His crane was reportedly used in warfare during the Roman siege of his home, Syracuse. Other wartime inventions attributed to Archimedes include rock-throwing catapults, grappling hooks, and lenses or mirrors that could allegedly reflect the sun's rays and cause ships to catch on fire. He invented a self-moving celestial model representing the sun, moon, and constellations, so accurate that it even showed eclipses in a time-lapse manner. This invention utilized a system of screws and pulleys that moved the globes in their various courses and speeds. Many of Archimedes's inventions were spawned by the experiments he conducted to prove his theories. He earned the honorary title father of experimental science because he not only discussed and explained many basic scientific principles, but he also tested them in a process of trial and experimentation which was based upon three essential principles. The first of these principles is the idea that natural laws continue to work even with large changes in size. The second principle proposes that mechanical power can be transferred from models used in laboratory work to practical applications. The third principle states that a rational, step-by-step logic is involved in solving mechanical problems and designing equipment. Adherence to these principles led Archimedes to such inventions as block and tackle systems, the water snail screw, and devices for driving objects using axles and drums. Even today, inventors and scientists assume Archimedean principles to be basic to their fields. The famous story of Archimedes death, though again apocryphal, is that a Roman soldier killed him during an invasion because Archimedes refused to leave the contemplation of the mathematical diagrams he had drawn in the dirt.